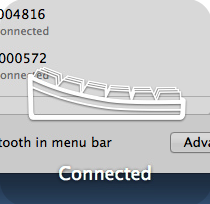 This article's screenshots and procedure were made with MacOSX 10.9.2 (Mavericks). You will need the printed Quick Start Guide, User Manual, or the pairing document from Additional Information (below) for the configuration barcodes. 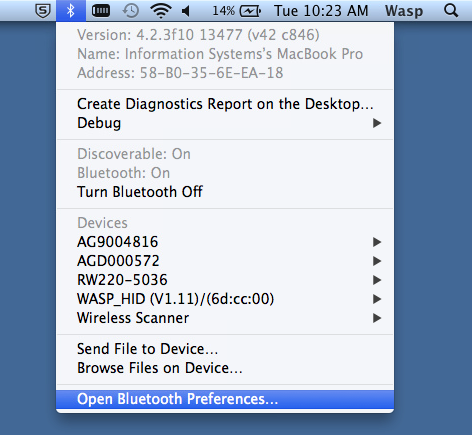 On the Mac's BlueTooth menu, Open Bluetooth Preferences. The scanner shows in the list of devices available to to paired. Select the scanner, then click its Pair button. Later scanner models don't require a PIN code. If you don't get a PIN code on the Mac screen, skip to step 5. • For each digit in the code shown on your screen, scan the corresponding barcode. Note: The code is randomly generated, so enter the code from your Mac screen. The code below is an example only. 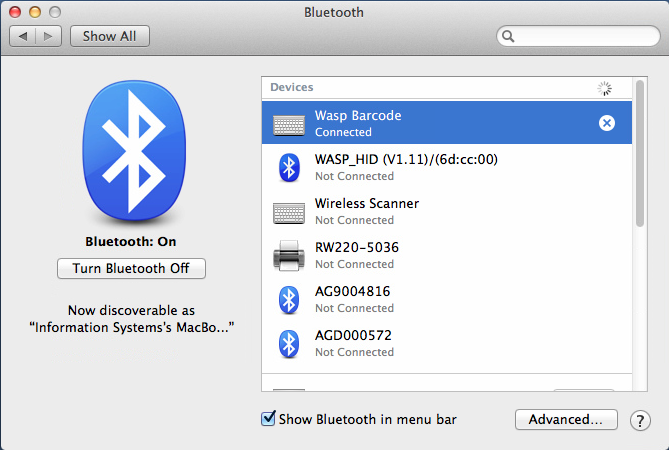 When the scanner connects to the Mac, a transparent Connected notification shows briefly. The scanner should show as connected in the pairing list. Test the connection. 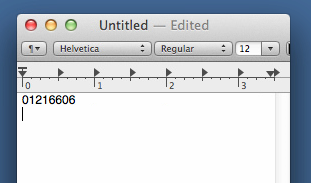 Launch TextEdit or another application that accepts text input, and scan a barcode (don't use a configuration barcode). The data in the barcode should appear as if typed by a keyboard. 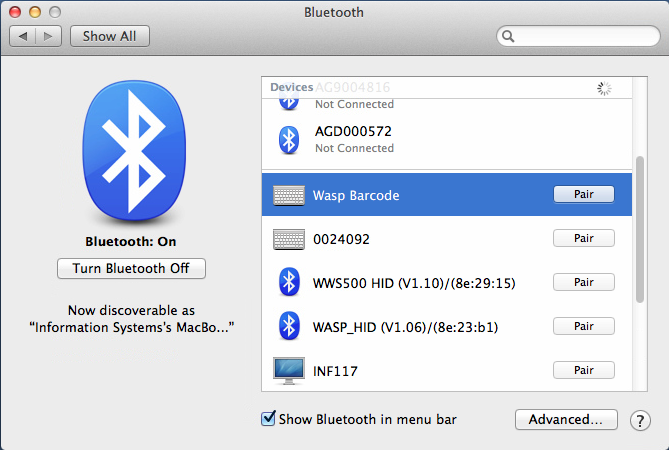 WWS550i: How do I enable Bluetooth SPP on my WWS550i scanner?